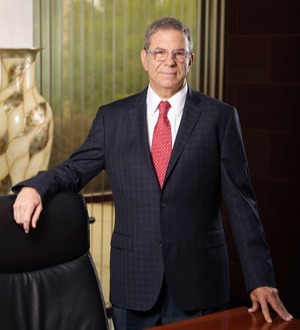 Mr. Aurbach has spent over 35 years practicing law on commercial litigation relating to real estate, contracts and partnership/corporate disputes including receivership, fiduciary duty and dissolution cases. After 17 years as a Nevada Supreme Court Settlement Judge and an AAA arbitrator, his practice has shifted with an increased emphasis on arbitration and mediation solutions. After growing up in Las Vegas, Mr. Aurbach graduated from Western Kentucky University in 1973 in Business Administration with a Finance emphasis. Mr. Aurbach then attended University of San Diego School of Law and graduated in 1977 after serving as the Research Editor of the San Diego Law Review. Mr. Aurbach has arbitrated and litigated numerous jury and bench civil cases which include several corporate and partnership dissolution and receivership cases and the winning of a $5 million breach of contract award after 22 days of arbitration on behalf of a health care provider against an HMO. Mr. Aurbach is a trained commercial arbitrator and mediator, as well as a Nevada Supreme Court Settlement Judge. He is a shareholder in the firm and has achieved an “AV” rating in Martindale-Hubbell. When Mr. Aurbach is not in the office, you can usually find him on the tennis court or with his wife, Leigh, at their condo in Dana Point.